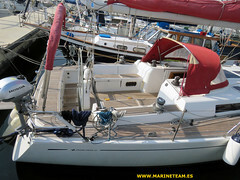 VOLVO PENTA 55CV. 1800 horas. 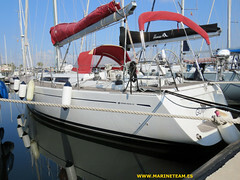 Transmisión sail drive. Hélice plegable 3 palas FLEX O FOLD. Cantiere del Pardo mantiene el casco dentro del molde durante 10 días, mientras ensambla la estructura de hierro, ajusta orza y timón, instala motor, electricidad y fontanería, monta los interiores y lamina la cubierta. Este sistema elimina cualquier tipo de torsión posterior en el conjunto. El casco se compone de 12 capas de tejido unidireccional con resina de vinylester y gel coat isophtálico. La estructura de hierro está compuesta por una viga central sobre la que asientan mástil, orza y motor. Con 5 costillas transversales, sobre las que asientan los mamparos. Un refuerzo de inoxidable une la jarcia firme a esta estructura. La cubierta está laminada al casco con resina de epoxy. 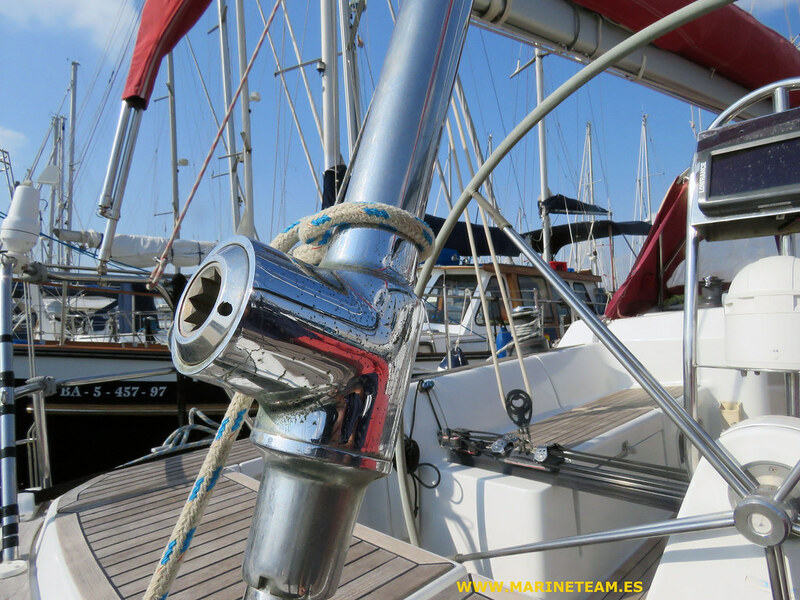 Todos los herrajes de cubierta están atornillados a pletinas de inox laminadas previamente en la cubierta. 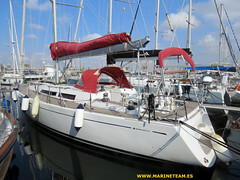 De este modo se consigue un conjunto sólido, robusto y compacto, que define las características en navegación, y la durabilidad de este barco. Mayor semi battend Dacron con 2 rizos en muy buen estado. Génova enrollable Dacron 130% nuevo, sin estrenar. Génova enrollable triradial 105% en buen estado. 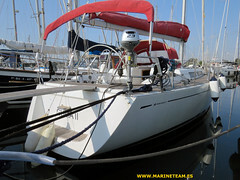 Winche eléctrico de drizas en roof HARKEN 44ST2 2012. 2 winches primarios upgraded HARKEN. 2 winches de spi HARKEN. Jarcia firme nueva 2016. 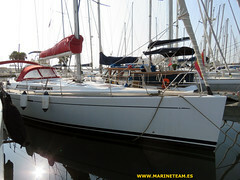 Enrollador de génova bajo cubierta 2012 HARKEN. Mástil SPARCRAFT 3 pisos de crucetas. RAYMARINE: Piloto automático ST6002. Equipo de viento ST 60. 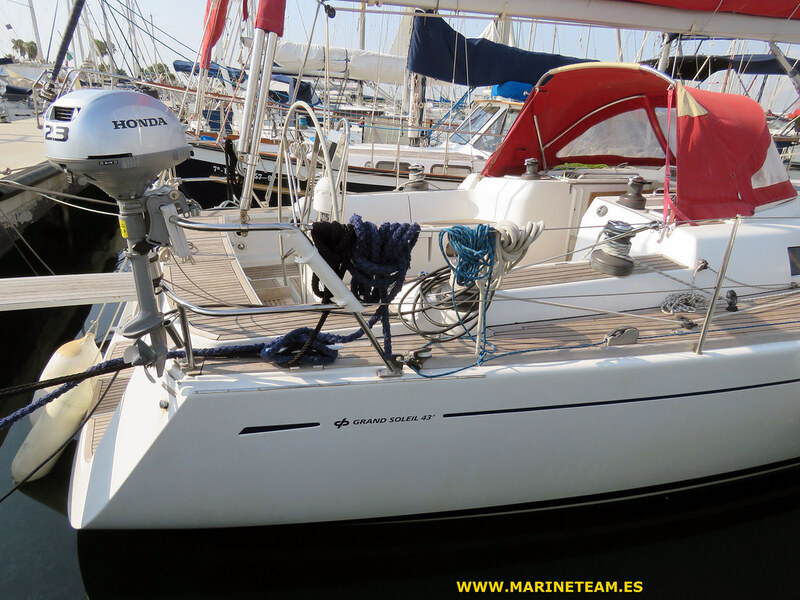 Sonda ST 60. Display GRAPHYCS ST60. 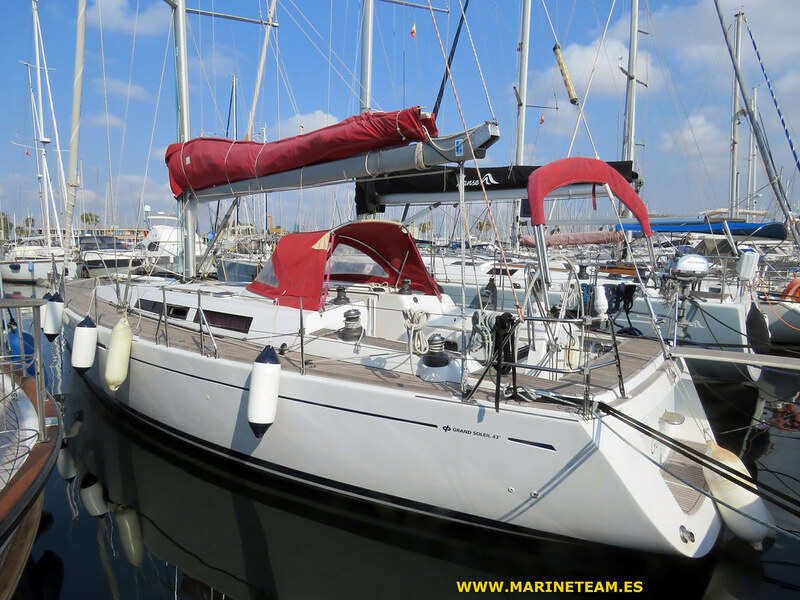 Pantalla multifunción LOWRANCE ELITE 7M 2017. 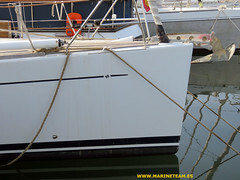 AIS VESPER MARINE 2012. 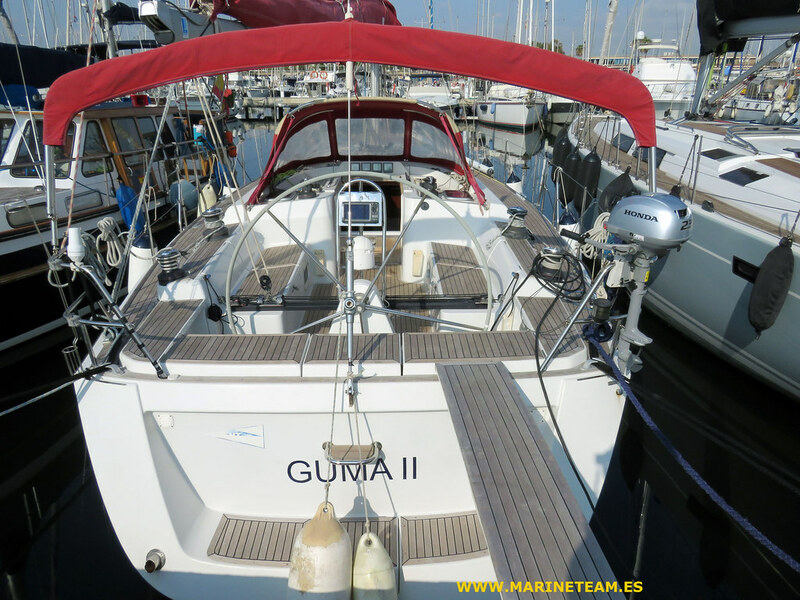 GPS FURUNO GP32. 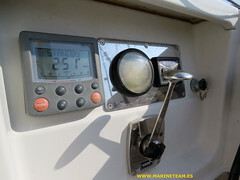 Ipad con cartografía NAVIONICS y logiciel INAVX. 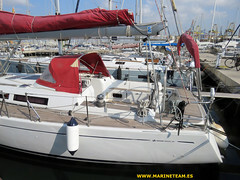 Cabina armador en proa con cama central, gran armario ropero y baño con ducha. 2 cabinas dobles simétricas en popa, aseo, salón con banco central, cocina corrida en babor, mesa de cartas en estribor. Circuito eléctrico 12v/220v, cargador de baterías VICTRON 46 Ah, 5 baterías 90 Ah 2017, batería motor 85Ah, gestor de baterías MASTERVOLT. Panel solar 68W. Alternador suplementario 60Ah. Equipo de seguridad para 6 personas. Balsa salvavidas. Radiobaliza. 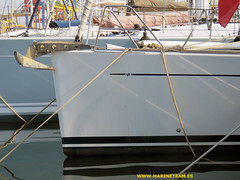 Barco de segundo propietario. Mantenimiento impecable. Mejoras constantes. 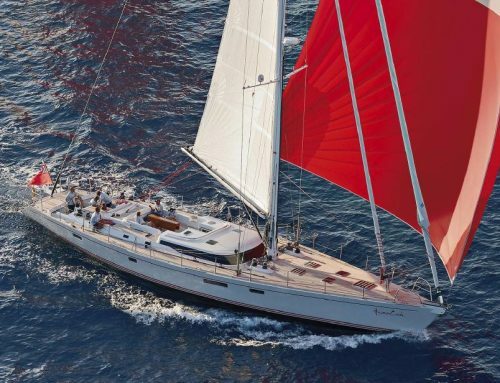 If you’ve spent any time sailing in Europe lately, you’re probably familiar with Grand Soleil’s racy performance cruisers. 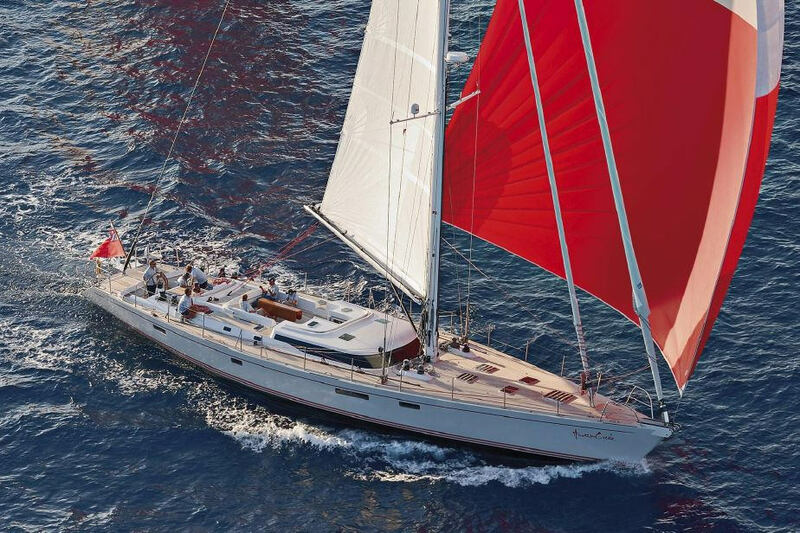 For 30 years, the Italian yard Cantiere del Pardo has built high-quality sailboats designed by the likes of Germán Frers and Judel/Vrolijk & Co. 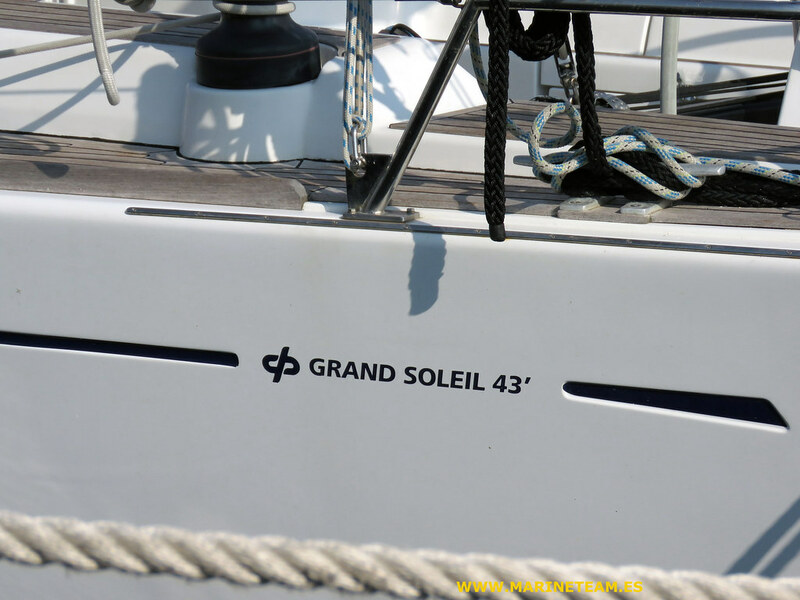 In the same tradition, this Grand Soleil 43 came from Botin Carkeek Yacht Design, a Spanish firm whose designs dominate European raceboat circuits. 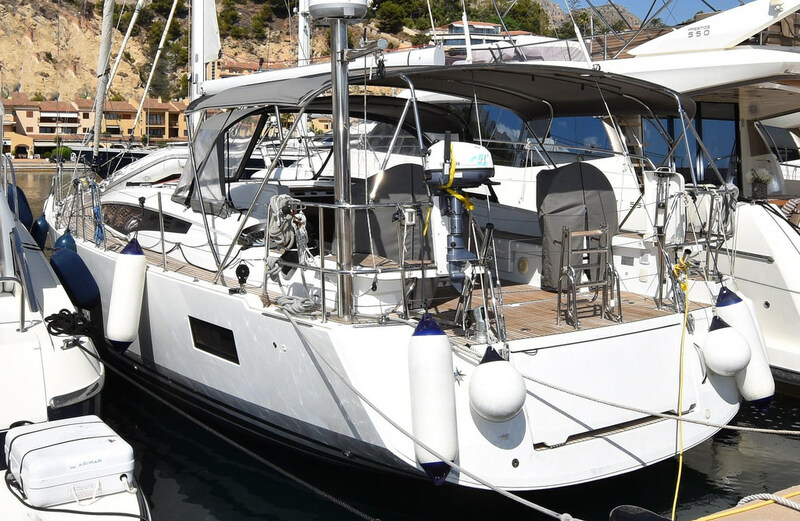 With a tapered cabin house, uncluttered decks, and elegant Italian interior design, the Grand Soleil 43 has a classic look. Like Botin Carkeek’s raceboats, the hull has a longer waterline, reduced wetted area, and a deep, efficient rudder and keel designed and built based on research by the automaker Ferrari’s aerodynamics department. 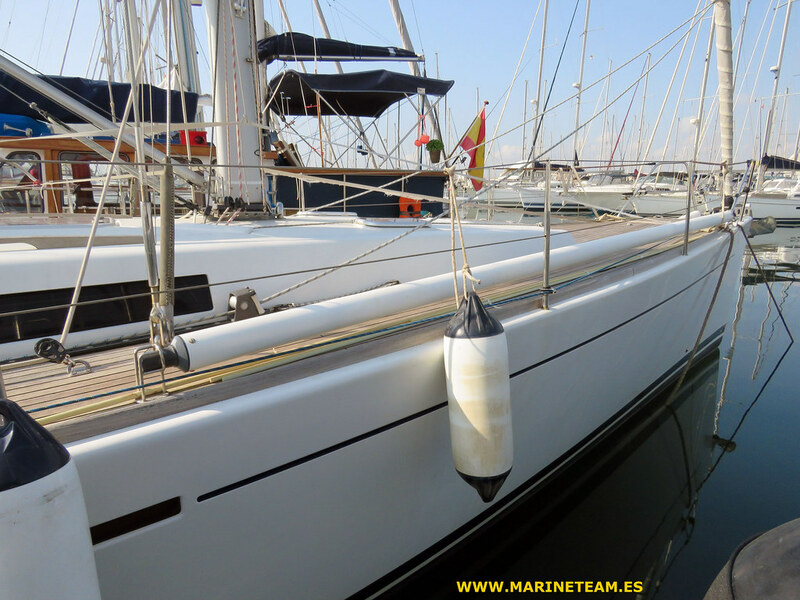 The hull laminate consists of unidirectional fiberglass and vinylester resin, with a cross-linked PVC foam core called Termanto used above the waterline and in the deck layup. 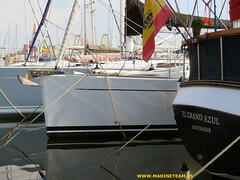 Bonded inside the hull, an epoxy-coated galvanized-steel grid system absorbs the loads from the chainplates, keel, and mast step. 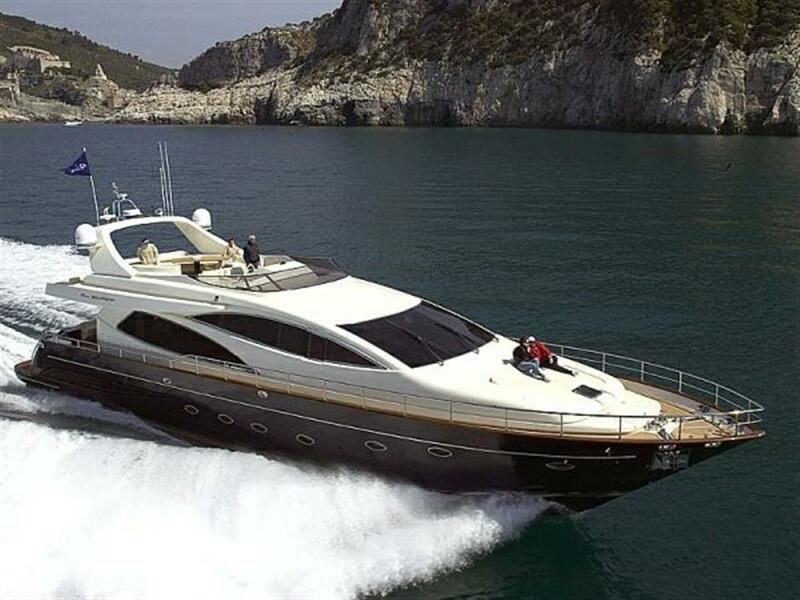 Cruising World’s team of Boat of the Year judges agreed that the boat felt remarkably solid. The entire grid is accessible for inspection by way of screw-held sole panels. 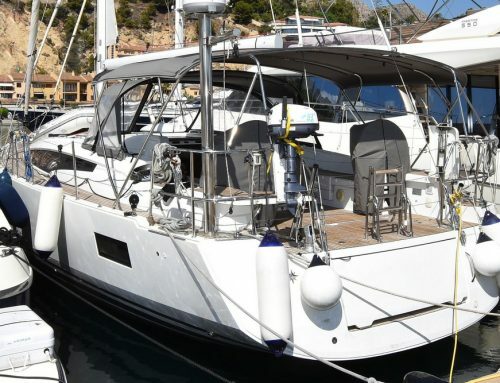 The GS 43 has a sleek and purposeful deck, with halyards and reef lines led aft under the coachroof. 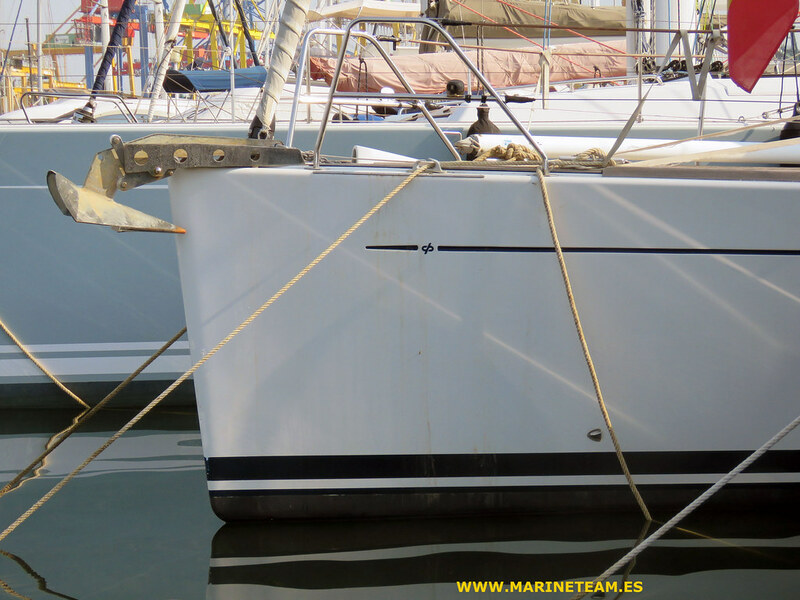 Like many new designs, however, cabin-top handrails don’t extend ahead of the mast, so going forward in a blow may be dicey. I did find that the optional teak decking provided excellent traction and the side decks were easy to navigate. With the adjustable genoa tracks tucked against the cabin side, the only potential impediments are the outward-opening ports in the long cabin windows. The deck and cockpit are set up primarily for racing, but the layout is also good for family cruising. The ergonomics of the entire cockpit are nearly perfect. The seats are wide and comfortable with well-angled coamings, and the teak cockpit sole is attractive and provides secure traction. 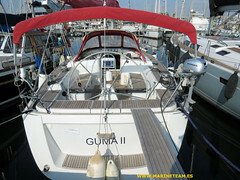 Low coamings and long teak handrails make it easy to go forward, and the helm station is excellent. There’s an especially nice spot to windward when the breeze is up; the wheel pedestal is angled to make a splendid foot brace. 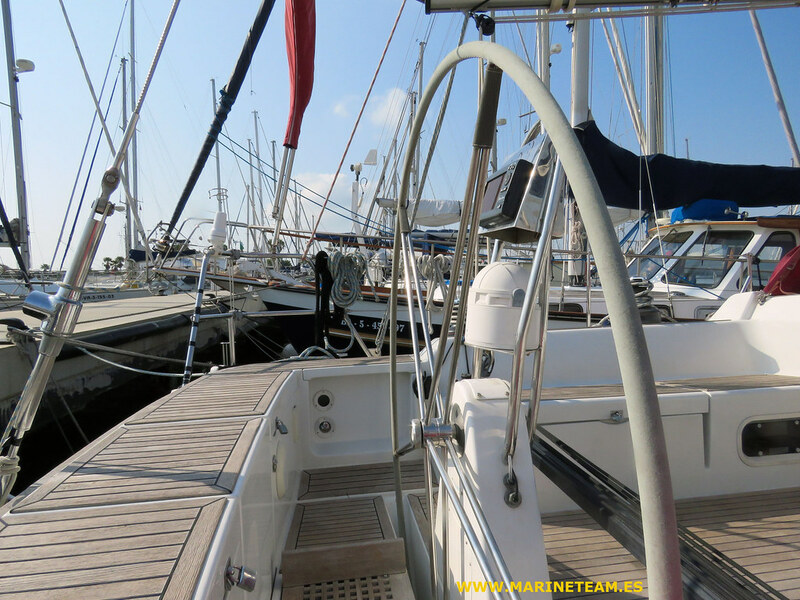 Even short skippers will have good sight lines over the low cabintop. Moving around the wide cockpit was easy, but I’d have appreciated foot braces. 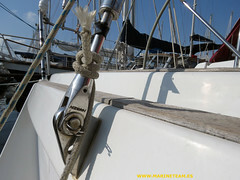 Our test boat was equipped with only one set of cockpit winches, so the mainsheet led to the cabin top, out of reach of the helm. 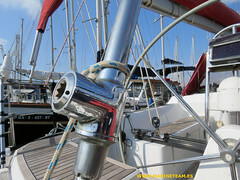 With a second pair, the double-ended sheet can be led to primaries close to the helm, at either end of the traveler, and that’s an option most owners buy. 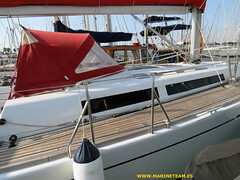 The 12-inch bridgedeck, required for European Union certification, should do a good job of keeping the interior dry in case of boarding waves. The companionway boards have a neat self-stowing system, but when they’re closed, there’s a finger-width gap underneath, which is something to address before heading offshore. For such a high-performance boat, the Grand Soleil’s interior is remarkably inviting, with cherry-stained mahogany and a wide-open feel. A choice of one or two heads is offered in the three-cabin layout. 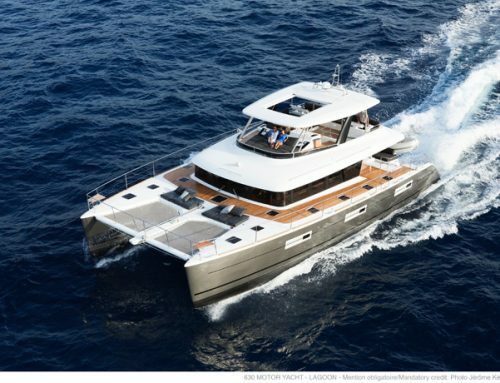 The substantial master cabin forward (with optional en-suite head) boasts a queen-size centerline berth. I always climb into berths and turn on the reading lights to see if they’re usable, and the Grand Soleil was up to my test. In the main saloon, the C-shaped dinette includes a stand-alone bench on centerline, which also provides back bracing for the cook in the in-line galley to port. The countertops have excellent fiddles, but the upper lockers lack any means of restraining the contents. 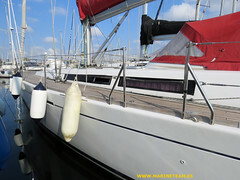 The deep, stainless-steel double sink has an easily accessible seacock that may need to be closed against flooding when the boat’s well heeled on starboard tack. The small, two-burner stove has room to swing if the factory-installed rubber stop is removed; cruising cooks may want to install a stove guardrail. I find it distressing that many new boats-even those intended for long-distance cruising-have navigation desks unfit for anything but half-size chart kits. Not this boat. While the nav area has lots of extra space in which to add more electronics and a desk ergonomically designed for laptop use, it also has space to spread out a full-size chart. The electrical panel is neatly installed, as are all of the systems, and drip rails under the ports help protect electronics from damage. Opposite the nav desk is the main head and shower. Twin quarter cabins with standing headroom, hanging lockers, and double berths extend under the cockpit. 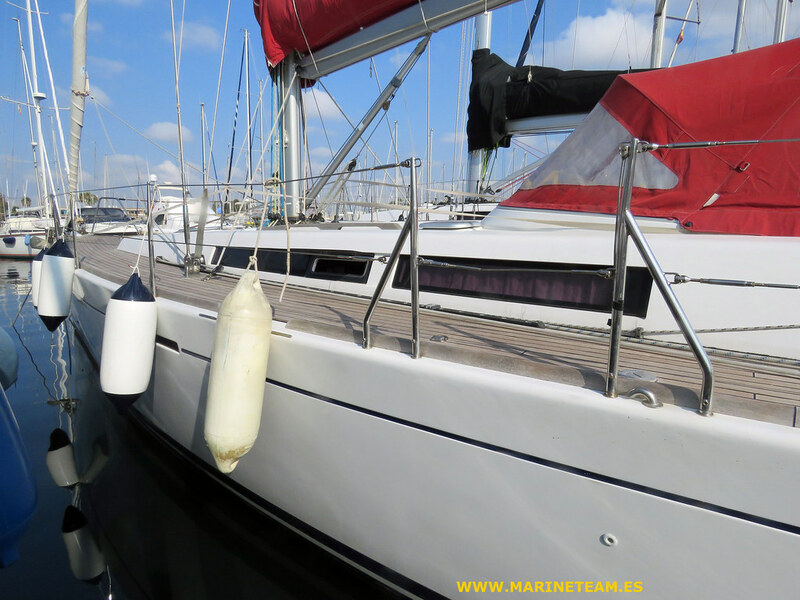 The split mattresses allow lee cloths to be rigged for use as sea berths. Panels in each cabin and under the companionway ladder provide access to the engine. 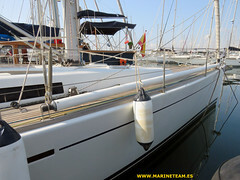 On the day we test-sailed the boat, the wind was gusting into the low 30s. We assumed that we’d tuck in a second reef but soon realized it wasn’t necessary. With the genoa partly furled and one reef in the main, the boat felt solid and under control. 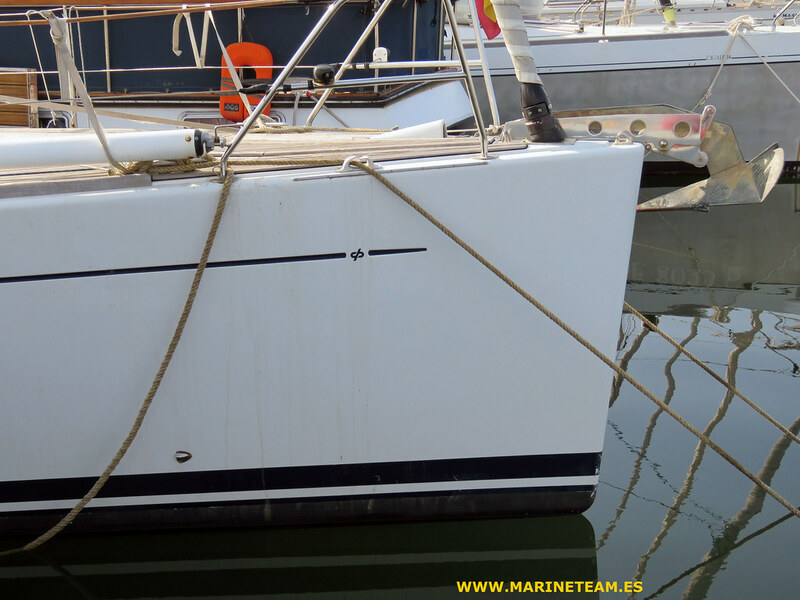 The standard sails set very nicely when reefed, and steering was a dream. 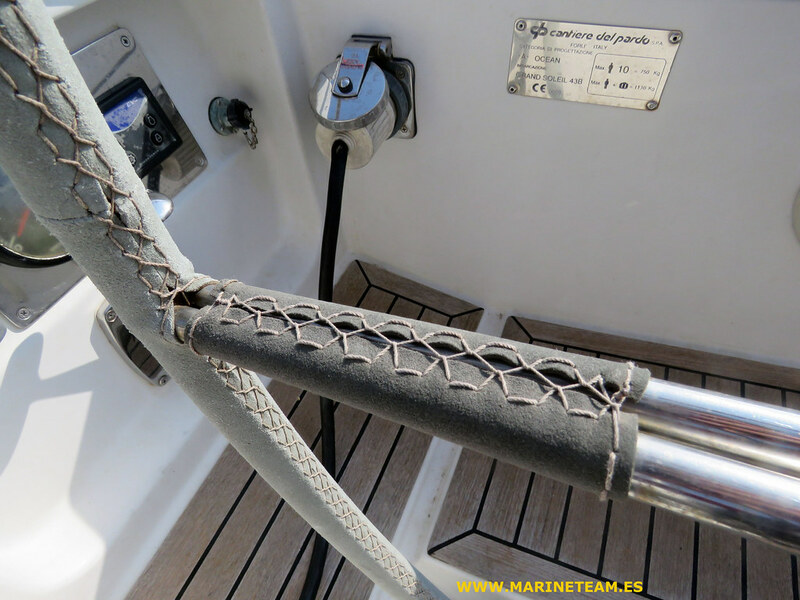 The Grand Soleil should be a nimble upwind boat: Even in fairly heavy winds, steering through constant puffs with less-than-perfect sail trim, we tacked through 110 degrees while going more than 8 knots. On a reach in 25 knots the G.P.S. showed 8.4 knots speed over ground. 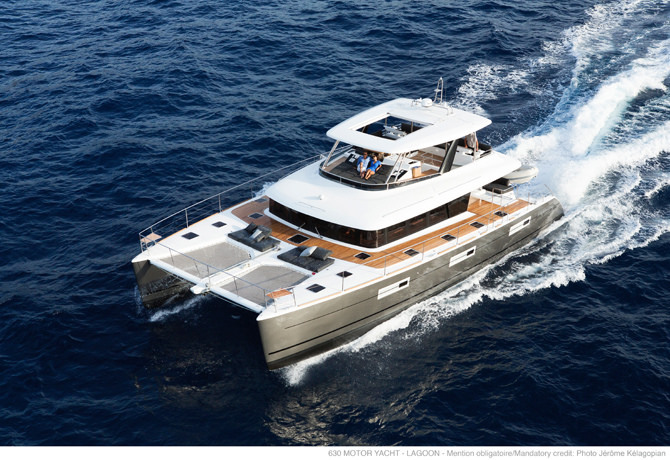 Under power, the 55-horsepower Volvo Penta saildrive and two-bladed folding prop moved the boat smartly at 7.0 knots at 2,500 rpm and 7.9 knots at 2,900 rpm. 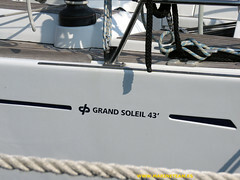 The Grand Soleil 43 is seriously fun. After sailing it-and gushing about the exceptional helm, the stability, and the powerful big-boat feel-our team of judges noted the price: $ seemed low for so much boat. 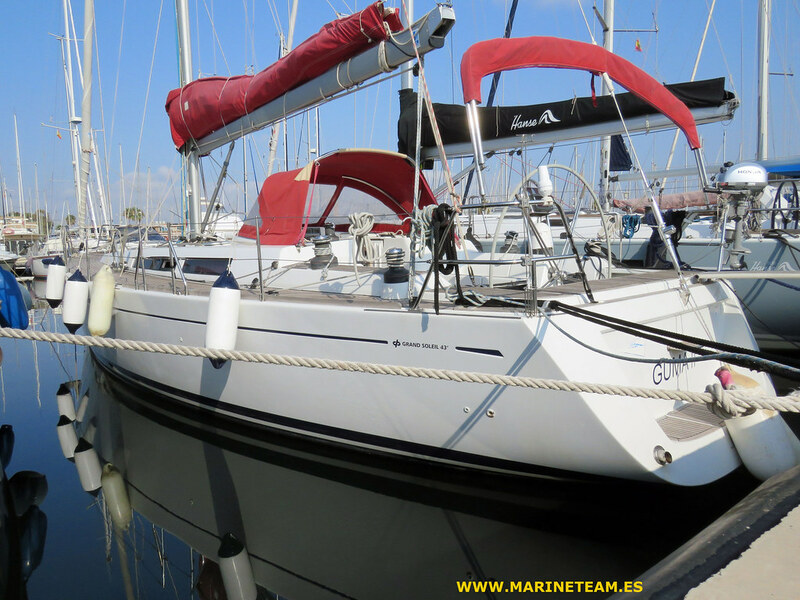 For club racing, daysailing, or coastal cruising, the Grand Soleil 43 deserves serious consideration. 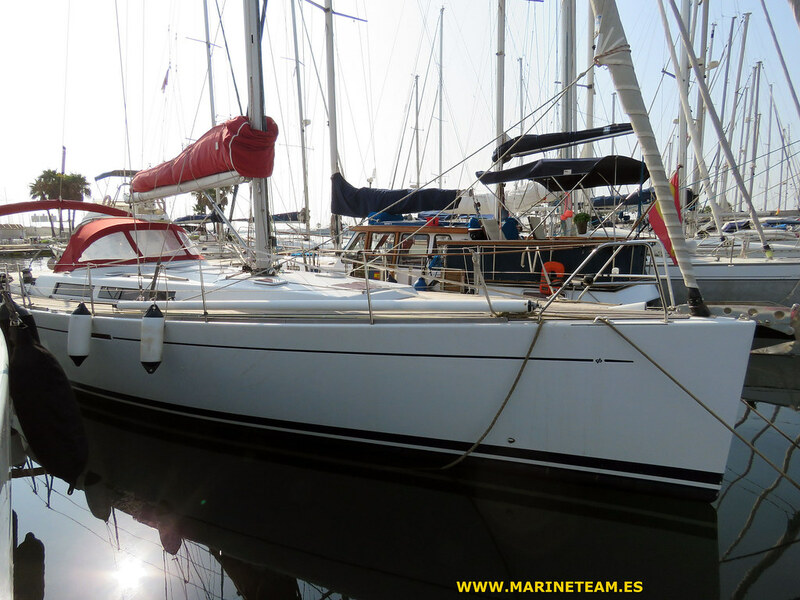 With a few minor additions and changes and an experienced crew, I wouldn’t hesitate to sail it offshore.